Super Eagles striker, Ahmed Musa has joined millions of Nigerians in identifying with their country on its 58th Independence Day celebration. 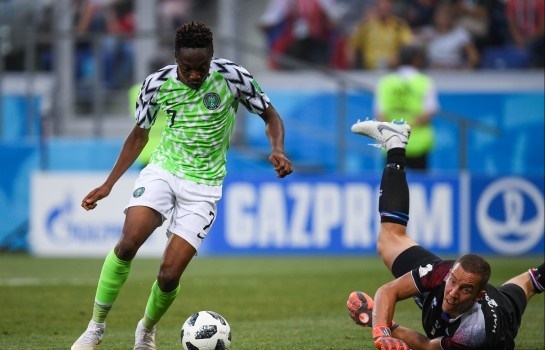 Musa scored two goals for Nigeria against Iceland in one of the group stage matches at the 2018 FIFA World Cup in Russia, after which he was touted to be Nigeria’s president someday. He has even bagged the nick name ‘Governor’, which most of his national team colleagues call him. Now in Saudi Arabia playing club football, the former Leicester City forward took time to show his patriotism for his country. “Today is a day that represents freedom, equality and unity. I stand proud to be a Nigerian and on this day of our independence. “I want to salute all my fellow Nigerias in honour of this great day. Happy Independence Day.#ILoveMyCountry #ForeverAEagle #Weareone #Nigeria @58” He wrote on twitter.